Dragon has just met the two most dangerous creatures to have ever entered his kingdom—princesses!—in this charming picture book about an unexpected friendship. Scales and claws and fire-breathing jaws, that’s what dragons are made of. Pink ribbons and pearls, all the sweetness in the world, that’s what princesses are made of. When princesses invade the dragon’s land, how will they ever learn to get along? 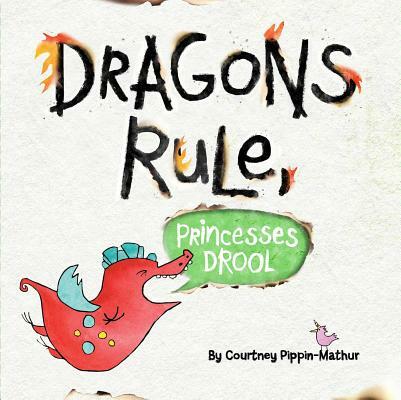 Dragons Rule, Princesses Drool! is a hilariously fire-breathing tale about finding friendship where you least expect it. Courtney Pippin-Mathur moved from Texas to a suburb outside of Washington, DC. She shares her home with a knight, a princess, and two unruly dragons, which leads to many exciting and loud adventures. Visit her at PippinMathur.com.